I met author Alexis Brooks for the first time in person just the other week in the San Francisco bay area at the New Living Expo. We’ve been good friends and colleagues for more than ten years, but this was the first time we managed to be in the same place at the same time. What a treat! What’s impressed me the most about Alexis over all these years is her consistently positive outlook, and deep wisdom regarding metaphysical matters. Alexis is one of those inspirational people who are as beautiful inside as out, so it’s no surprise that even regular snapshots of Alexis shine with inner light! I’m deeply grateful that Alexis granted me this interview where she shares some fascinating insights into her background and interests. Even though I’ve known Alexis for years, I loved getting the opportunity to learn more about why she has such a passion to share powerful insights about consciousness and metaphysics with the world, and where this lifelong interest began.Alexis recently published the #1 best-selling book, Conscious Musings, and she is the featured writer and host of The Conscious Inquiry Radio Show at Conscious Life News. CYNTHIA: I’m just tickled pink to do this interview with you, since I have been so inspired by your writing and your work for so many years! You have such a refreshingly light yet simultaneously emotionally soulful approach to sharing ideas that empower people to see themselves and the world in a whole new way. What would you say was your primary inspiration to do what you do today? ALEXIS: Thank you Cynthia. First let me say what a pleasure and an honor it is to be interviewed by you. I too have admired all that you’ve done over the years to bring so many individuals to a place of understanding about the magnificent workings of reality – how vast it is and how we can all participate in our own personal reality shifts…kudos! As for the inspiration for the work that I do, I’d have to say that the influence started very early on for me. I grew up in what I’d call “an alternative home.” Although my parents were very much immersed in the mainstream – my mom was an educator and my dad a scientist (self taught) from M.I.T.–both very “left brained” professions, somehow they naturally gravitated toward the BIG questions of life, you know, “Who are we?” “What are we capable of?” and “How does reality really work?” They’d sit around the kitchen table and discuss things like reincarnation, extraterrestrial life, life after death and spirituality in general, including much of the teachings of the various “orthodox religions.” When I was old enough to pull up a seat to the table, they would include me in discussions, welcome my curiosity AND my opinions. When they decided to embark upon learning transcendental meditation (TM), they brought me along to class too–at the age of 13! It was a family affair. So I was indoctrinated, you might say, at a very young age. But then my natural curiosity took on a life of its own. I found myself genuinely interested in these same big questions, wanted to explore for myself, and I did. I found myself somehow grasping concepts that even my parents couldn’t fathom. I remember having this epiphany one day about the nature of time. I must have been reading something about the illusory nature of time, how linear time is a physical construct and that in actuality all time is simultaneous. I don’t know how, but I just seemed to “get it.” I remember talking to my mother about this newly found realization with such enthusiasm–I remember her saying to me, “Now THAT’s over my head…” I didn’t understand how she didn’t get it and I did. I guess I went on my own trajectory from there. What’s also driven this natural interest in me is that I would occasionally have my own let’s just say, “curious” experiences–pre-cognitive dreams primarily. I knew SOMETHING was going on; that it was important, and I felt that most people just weren’t getting the true nature of reality–that there was so much more, and I was determined to investigate these underpinnings. As I grew, I became more voracious in my studies–branching off into all sorts of areas of metaphysical study. Although I didn’t realize quite where this would be headed. I’ve had several what I like to tell people “incarnations” in this life–worked in various industries, including entertainment (I was a teen model and bit actress), broadcasting, marketing and small business ownership. I’ve had several different careers but this work is without question my passion. I wouldn’t have it any other way. I simply love what I do and I’m so blessed to be able to do it! CYNTHIA: I love how thanks to growing up in a family with such intelligent, spiritually-minded parents, you instantly grasped the idea of simultaneity of time! This kind of notion is one that reminds me of holism–of a view that I see is emergent right now in the realm of quantum physics at a time when dualism and material realism is still the dominant paradigm. This is a time when many people who are aware of a deeper interconnectedness would love to know how best to share this realization with those who don’t yet “get it.” What would you say to people who are starting to wonder whether the old classical perspective is incomplete, or how such “things” as non-dualism or simultaneity of all time could possibly be? ALEXIS: Well right off the bat this is a difficult concept to get ones heads around (this notion of simultaneous time). As I said, my mother, whom I looked up to for her sense of exploration into the “unknown” was absolutely dumbfounded when I presented her with this possibility, so consider that. And she was a “big seeker.” You take the everyday person and present such a concept and chances are they’d think you were crazy. Simply put–this is not the type of discussion you can have with anyone (unfortunately). As much as I’d like to wave a magic wand and say, “You will now GET IT.” That’s just not going to happen. In fact, I’ve stopped trying to convince certain people of the efficacy of such matters. I’d once heard, “We must leave people to their own pace of learning as part of their own path in this incarnation and not be so keen to judge it…” Something like that. That made me take notice. As much as I’d like to argue the merits of this theory of simultaneous time and how we can present all sorts of data (and experience) to show its empirical evidence, I can’t. I think the actuality of this concept will present itself to those who are ready to receive it. Here’s a very basic idea that I’ve often contemplated…Isn’t it interesting how man constructs, plans, calculates the slight tilt of time by changing the clock one hour forward in the spring (“spring forward”) and one hour back in the fall (“fall back”). This is the man-made manipulation of time. This is not a perennial process but an annual process. One that man decides. That always intrigued me and struck me as curious. How is it that an edict can be made to say we will fall back one hour or spring forward one hour and all are expected to abide by it? Our bodies and our minds obey this edict. This isn’t fundamental time, this is constructed time. And yet we abide by its laws. This was a curious clue to me many years ago–it told me how “plastic” time is and how mutable time is….this was a clue to me as to the malleability of time. It’s just not what we think it is. Therefore, it is far more plausible to me that time at its fundamental core IS simultaneous. How is it that we can have “pre” cognitive experiences (dreams, insights, waking visions) when time is supposed to be linear? The answer: it’s not! This is probably what tipped me off to the reality of the simultaneity of time, and this is what I’d encourage others to explore when asking themselves these BIG questions. Now, as to how to “convince” others of this reality, especially those (as you said) who are wondering whether the old perspective is incomplete. The good news is that those who are wondering to begin with, probably already have a clue that the old model is incomplete! This is an innate knowing. Something within the core of our being already knows these things – feels it, in fact. It’s just difficult to articulate it. So that’s why it’s so important to be around others who are willing to discuss these ideas, muse about the process of non-linear time (no-time) and other fantastical ideas like these. Good news–we’re getting there–slowly but surely. I don’t know–maybe our DNA is finally waking up, along with our consciousness. I’ve always felt that there is some faculty built into us that inherently knows these things and always has. These faculties have become dormant; atrophied. But somehow, we’re being nudged to wake up (by the Universal Alarm Clock, LOL)! That’s what my book is really all about–waking up these dormant faculties. The understanding of simultaneous time is just one mechanism to do just that! CYNTHIA: This really does feel like a special time in history unfolding right now, doesn’t it? And speaking of clocks and time, I hear from lots of people who notice things like seeing 1:11, 2:22, 11:11 and so forth on digital clocks, getting a sense that it’s time to wake up. How long have you been aware that we are entering a time of awakening, and how were you called to be of service? ALEXIS: There’s no question that we’re living in an unprecedented period of history. Some feel that we are here during the “end times,” and others are truly excited to be here during what many feel is this incredible shift in human and even Universal consciousness. I am one of those people in the latter category! My “entry point” into what I’d call awareness of this shift occurred during a personal experience that lasted three months back in 2005. It was an out of this world experience. It just descended on me with no warning and no cajoling on my part–it just happened! Some have described it as a “kundalini awakening.” I’m not sure if that’s what it was but I have to tell you it was a breakthrough the likes I’ve never experienced before. To this day I feel honored that I came upon this confluence of physical, psychic and cosmic reality, although I don’t know how it all happened. It’s a long story and one that I’m still trying to fully comprehend to this day! I was “given” information about “the future,” about the important times ahead. Admittedly at the time, I’d little to no knowledge about prophecies like the Mayans or Hopis – 2012, et al…none! But I got this sense that whatever I’d be doing in time would be instrumental in helping humanity (along with others) through this period. It was then that I began seeing 11 on the clock…1:11, 3:11, 5:11, 11:11, etc. I didn’t know what to make of it. Not too many people were reporting such things back then, but look at the number of inquiries these days. When you Google “I see 11:11” you’ll get roughly 275,000,000 results! That’s a lot of people either seeing 11:11 or wanting to know its significance. That’s huge! Something quite powerful is going on. I wish I could say with absolute certainty what it means, but I cannot. After contemplating the significance of the “11” phenomenon, my sense is that it carries multiple meanings, applicable at different times. It might act as a warning at one time and a wink and a nod at another. I think the observer must derive the synchronistic significance for themselves. Either way, I sense that we are being ushered in to a new way of thinking and a new language and perhaps numbers are becoming a central communication tool for us all. Pretty fascinating! CYNTHIA: I share your optimism about these special times, and an associated sense of excitement and importance about this time in history. I also can’t help but wonder if perhaps the reason you and I both tend toward optimism about the future might in some way be related to both of us having gone through kundalini awakening experiences. I like the way you point out the way increasing numbers of people are noticing 11 on the clock, as well as other types of repeating numbers such as 2:22, 3:33, and so forth. These are patterns I began observing immediately upon my kundalini awakening. Given that people who see such numbers might literally be receiving a kind of cosmic “wake up!” message, how would you advise people to stay awake, rather than hitting the “snooze button” and drifting back into living on autopilot? ALEXIS: First I want to address a key point. I know we have to stay optimistic, but allow me to make clear something that I feel to be quite important. I’ve said many times that in order to “go with the shift” we also have to acknowledge both the shadow and the light – they are equally important. The alchemists of old new this “secret” and they utilized it quite effectively in order to transform themselves and their reality. So many are focused on just the light and the positive and that’s great, but there’s something quite powerful about understanding the shadow effect as well. We all have it, we embody it, and we have the ability to transcend it, but only if we recognize it. I love this quote by author and philosopher Neil Kramer whom I mention in my book who said, “To get to the real thing, it is necessary to first stop everything. Everything! Only by holding still can we go deep beneath the calm of the surface and actually look into the darkness. Whatever is there is you. Blemishes, conquests, beauty, mortification, bafflement, and longing–all of it has to be first seen as just what it is.” So as much as I’d like to only acknowledge the path of positivity during these special times, I don’t want to make the mistake of ignoring all the dimensions it comes with, including the shadow. As I’ve said, when we can acknowledge the darkness, we will be quicker to eradicate it. That said, I think people are certainly starting to recognize all the quirky, non-linear, bizarre patterns they are being presented with these days, not the least of which are numbers. We’ve talked about the “11” phenomenon and other numerical patterns that seem to be in our face. There are messages implicit in these numbers. These are not easy to distill, but if we can use something I have coined, called “subtle acuity”–the ability to hone our gaze and be hypersensitive to our surroundings and all of the cues the Universe gives us to guide us (including numbers), we will become more attuned to universal language and more primed to shift and evolve. As you’ve mentioned, staying awake is absolutely necessary. Nothing less will do. All bets are off as far as hitting the “snooze button’ is concerned! It’s easy to fall back asleep when we have so many prompts to ensure we do so, like media and technology and well, the “hamster wheel.” But we can’t relent. We must stay awake and aware. Our survival and thrive-all depends on it! CYNTHIA: Might another way for people to consider accepting their shadow sides be through becoming more compassionate–loving and accepting all aspects of themselves? I ask, because it seems so often in the news these days we hear that people who’ve been the loudest in advocating separatism of one kind or another turn out to secretly have been concealing aspects of themselves they felt others couldn’t… or wouldn’t… accept. Would you agree that being more loving, accepting and compassionate toward oneself can help each of us be the change we wish to see in the world, and if so, would you please share tips or suggestions to help people with this? ALEXIS: Absolutely! I’ve no doubt that becoming a loving and compassionate individual will be a major step in transformation, but I want to elucidate one crucial element. Let me do it with another illustration. Some years ago, alternative historian and author Graham Hancock told of this stunning experience he had while journeying I think to Brazil where he had a shamanic experience that involved the use of the native plant ayahuasca. During the partaking of this hallucinogen which culminated in an altered state of consciousness, he found himself confronted with a great beast that looked to have the head of a crocodile and the body of a human. The beast was overwhelming and frightening. Hancock had to confront the being, but eventually something told him to look the beast in the eyes with all of his heart and when he did, the beast simply dissolved. (I’m sure I don’t have the details of the story exact but hopefully you’ll get the idea.) Bottom line, the moment he confronted the beast, it dissolved and when that happened, all of reality shifted for him. The lesson is that when you confront the “beast” you can truly embrace compassion and be loving and accepting of yourself and your life. Actually, I don’t think it can happen any other way. I have a sneaking suspicion that what we fear most is merely illusion and the moment we confront the illusion, we dissolve it and when we can dissolve it, we can truly arrive at a place of compassion and love of ourselves and of others. That’s absolutely powerful! Clearly I wouldn’t advocate seeking out an experience of this magnitude in order to come to a place of compassion. I think we can achieve this in other ways. First and foremost, we must forgive ourselves on all fronts (and forgive others). We must realize that blame is a futile endeavor. Let’s just get on with what is true in our hearts (and I believe at the core, it is simply LOVE). Second, we must not take the external or epidermis layer of reality too seriously. As the late great Michael Talbot once said, “We are like iceberg beings–most of us is beneath the surface.” Let’s commit to investigating beneath the surface to uncover the true gifts of ourselves and when we do we can finally embrace them! Finally, we must awaken what has become dormant in our consciousness and that is the idea that we are absolutely powerful, creative and limitless beings. I know this may sound cliché, but once we unravel the layers of belief that have told us otherwise, we can have our own personal epiphany and finally breathe a sigh of relief and rejoice and truly live inside our personal and collective power. CYNTHIA: You have such a wealth of personal experience with learning to come to a place of compassion, and experiencing a real sense of forgiveness and inner limitless power. Some people can become so fixated on what went wrong, and who’s responsible for creating the problem, that forgiveness and compassion can seem impossible. What “baby steps” tips can you suggest for someone who finds it hard to access a place of deep compassion and forgiveness? ALEXIS: The act of forgiveness can be a difficult thing for so many people. Particularly those who were wronged in a big way, say emotional or physical abuse of some kind. I wish I had a magic set of words I could convey to provide the answer. I don’t know that there are words that can be said, but rather a feeling that needs to be embodied by each individual seeking to find a place of compassion and forgiveness but are getting stuck. Here’s one suggestion I can lend. Let’s say you are suffering due to a sense of blaming another and you can’t get to a place of forgiveness. A little exercise you might do is to go outside, preferably a place that is in nature and is quiet, say beside a tree. Stand with both feet firmly placed on the ground, barefoot if possible. Begin to recall the act or experience that made you so angry – something that someone did to you, or maybe it is something that you inflicted upon yourself. FEEL that anger, sadness, blame as much as you can–really feel it! Bring up that emotion from the core of your being. NOW, imagine taking all of that condensed energy – that anger, sadness, etc, and moving it through your body, downward until it empties out through your feet. Imagine all of that energy washing out of you and into the ground, like muddy water being absorbed by a porous section of soil. Really imagine this happening. Then ask the earth to take it unto herself and transmute it–literally shifting the energy from negative to positive. This is a very alchemical process. You can also imagine this energy as being old scraps of food that has turned into unusable waste. The earth has the ability to compost that energy and turn it into fertile soil, ready to be planted with new thoughts and new emotions. Now it’s ready to receive a space of compassion and forgiveness and so can you. I’ve always looked at nature as one of our best teachers. When you simply observe how nature works–it’s cyclical process, its effortless ability to produce and multiply AND its ability to take unusable “negative” waste and change it into fertile soil, ready to be planted with new seeds, you have to ask yourself am I not made of the same characteristics? I think we are. And the more we can work in harmony with nature, the more it will support us. I think this is more than a metaphor. We have all the tools we need to access a place of forgiveness, compassion and joy and nature is one of our greatest allies in this process! CYNTHIA: I agree with you that Nature is a great teacher, and I love the natural sense of harmonious energy I can feel when standing, sitting, or lying on the ground outdoors. I’ve seen people who had been feeling emotionally distraught quickly attain a sense of peace and calm, simply from sitting or lying down on the grass… and I’ve heard of people who say they’ve been healed by the Earth simply by lying down outdoors on the ground. Part of this may have to do with the healing natural Schumann frequency of about 7.8 Hz, and part may be due to hearing natural sounds of wind, trees, and birds and seeing natural beauty. And speaking of beauty, I must say your new book, Conscious Musings, is gorgeous! Did you have something special in mind when designing the cover for your wonderful new book? “Out of the dark abyss, there emerged a pair of outstretched hands. Gently moving toward me, I squinted, blinded by the hazy light that surrounded its shape, I knew not what it wanted with me. I could not move. I could not speak. My eyes became affixed to what materialized in its gentle palms. The hands came closer, cradling its contents. There it was – the sphere of life, the nucleus that I had been missing from for so long. Its vibrant colors and intricate shapes penetrated my being with a purpose that I could no longer ignore. I had a vivid remembrance that this was once me. Now it is being returned to me with the promise of transformation. This time, I shall partake in its promise and never look back. My sincerest hope is that the cover and most importantly, the contents of Conscious Musings will convey this message to each and every reader–that it is our divine right to embrace our own sense of self, that knowledge and wisdom and love lie within, and that the Universe is beckoning us to re-awaken these qualities for the positive transformation of ourselves and our world. Life is a gift and if we recognize it as such we will be so much closer to realizing the absolutely creative and limitless beings that we truly are! CYNTHIA: That is so beautiful! It gives me goosebumps of happiness and joy! Thank you so much for taking the time to share so much wisdom and inspiration both in your marvelous book, Conscious Musings, and also in answering these questions today. Would you please be so kind as to let people know how they can best learn more about you and your work? ALEXIS: Sure, and thank you so much for warmly extending the opportunity to spend some time with you Cynthia! My “home base” can be found at: www.higherjourneys.com. You can find details of my book Conscious Musings there as well as a regularly updated blog of my latest musings on metaphysics, paranormal, and all sorts of reality transcending information. 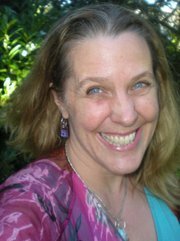 My radio program, Conscious Inquiry with Alexis Brooks can be found at: http://radio.consciouslifenews.com/shows/conscious-inquiry. If you’ll allow me to borrow your signature question…“How good can it get?” My answer–REALLY good! Thanks Cynthia! CYNTHIA: Thank you, Alexis! I’m so grateful to you for taking the time to answer these questions and share so many fascinating insights with us today! Luv the title: Conscious Musings! Great job!